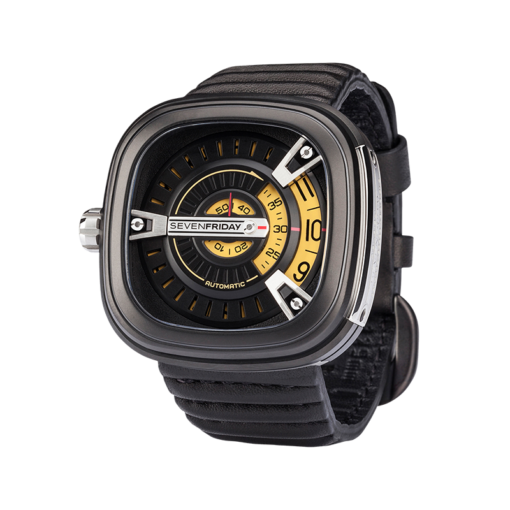 This SEVENFRIDAY M-Series watch features a stainless steel case with black PVD treatment and a polished stainless steel identification plate. 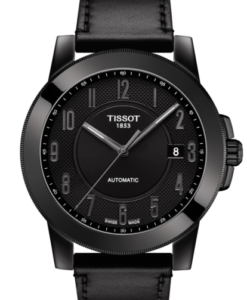 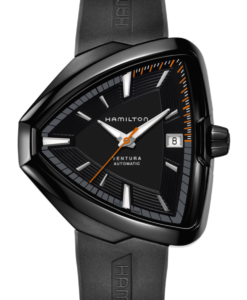 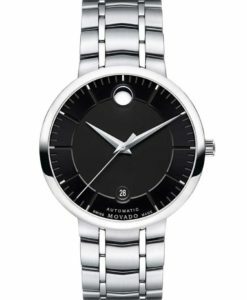 The M2/01 has a stainless steel animation ring with sandblasted black PVD finish while the interface is comprised of 6 black and rhodium layers with red highlights. 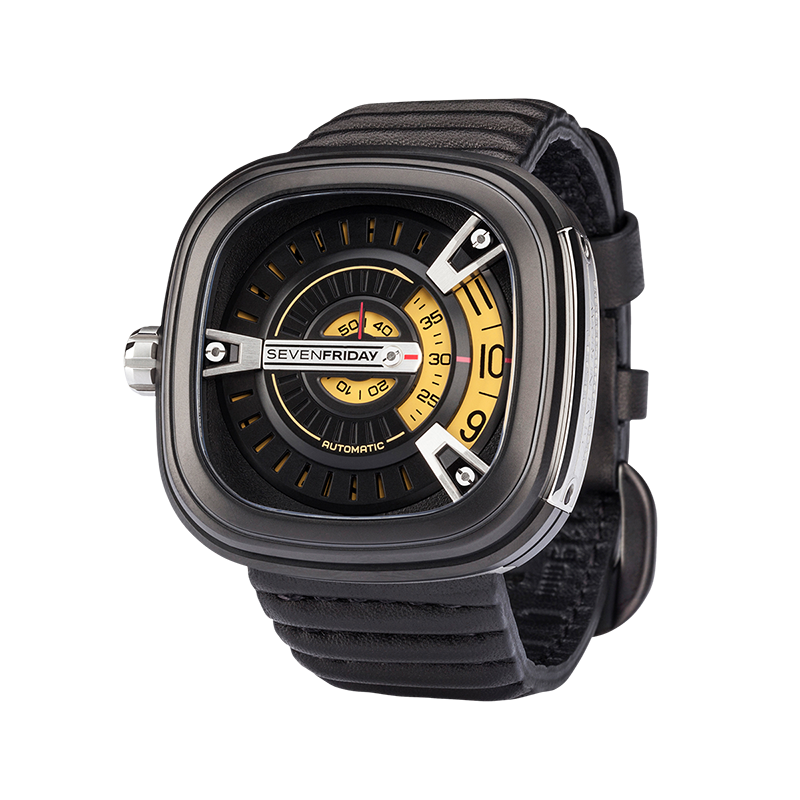 As with all SEVENFRIDAY M-Series watches the 3 customised discs reading hours, minutes and seconds are powered by a Miyota 8215 engine. 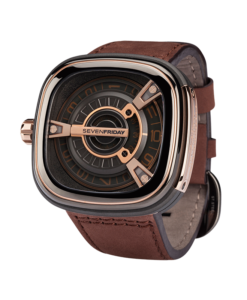 This watch is also NFC compatible via the SEVENFRIDAY app.